“After numerous medical doctor visits with no results, I decided that I would consult with a chiropractor and underwent a series of adjustments at the age of 16. Before I knew it, my headaches were gone. 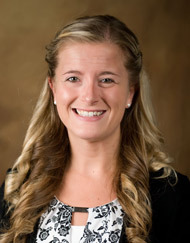 I was amazed at the body’s ability to heal itself!” After graduating from Normal Community High School , Dr. Mitchell began a job as a Chiropractic Assistant in Normal, Illinois where she was able to gain valuable experience in all aspects of patient care. During this time, she completed her pre-requisite course work at Illinois State University, and was then accepted at Palmer College of Chiropractic in Davenport, Iowa. During her four years at Palmer, courses included biochemistry, a major emphasis on anatomy and human physiology, X-ray, diagnosis, chiropractic adjusting techniques and patient care in the Palmer College Public Clinic. 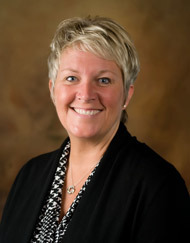 After graduating in 1996, Dr. Mitchell returned to the Bloomington/Normal area. With her dedication she has helped thousands of people over the last 22 years. Dr. Mitchell’s personal experience as a mother of two, has inspired her to complete further post-doctoral training specializing in the care of families (women and men of all ages,children, teenagers, pregnant women, infants). My journey with Chiropractic began when I was 14 years old and suffering from low back pain. I was in so much pain I could barely walk and at that age I knew something was wrong. After seeing my mother’s Chiropractor for several weeks I not only had relief from my pain, but I discovered my calling in life. I wanted to help people in a natural, safe way, just like my Chiropractor helped me. I grew up in Carroll, Iowa and graduated from Carroll High School in 2006. After high school I attended the University of Iowa and earned my Bachelor of Science Degree in Psychology in 2009 with a minor in Sociology. To pursue my passion for Chiropractic I started at Palmer College of Chiropractic in Davenport, Iowa in 2010. During my college career I served as a Biochemistry II tutor and a Radiology Intern. I was also trained in various techniques including Activator, Flexion-Distraction, Sacro-Occipital, Diversified, Thompson, and Gonstead. Being a student intern at Palmer Clinics provided me with the training and experience to be a great Chiropractor but I wanted more experience with my true mission, treating children and families. In the Winter/Spring of 2013 I was fortunate to treat the people of Bequia in the West Indies through a clinic abroad trip. Being able to educate the youth about Chiropractic was the highlight of the trip for me. 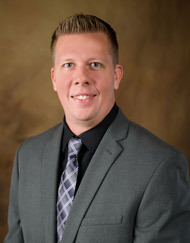 Upon graduating from Palmer in summer of 2013, I became an associate Chiropractor in the Quad Cities for one year with an emphasis on pediatrics and prenatal care. I recently moved to the Bloomington-Normal to be an associate Chiropractor at Mitchell Family Chiropractic. I am excited to bring Chiropractic care and wellness education to the families. Our future is now. As a health care provider, I believe wellness should start from the womb and continue throughout life. I am excited to share my knowledge and make a difference in the lives of the children and families of Bloomington-Normal. My first exposure to chiropractic was when I was a senior in college. I was involved in athletics from the time I was little and as a result, I was injured from time to time. My mid-back was first injured when I was playing basketball in junior high. I never sought treatment for my back pain and it occurred many times as I continued to play various sports. My final year of college, I re-injured my back to the point that I had difficulty sleeping. Fortunately, I was informed about a local chiropractor who treated sports injuries. Within a few weeks of treatment, my pain resolved. I continued to get treatment to improve the function of my nervous system until deciding to become a chiropractor myself in early 2010. My family is originally from Central Illinois. I was raised near Groveland and attended Peoria Christian High School as well as Bradley University. My undergraduate degree is a Bachelor of Arts in music. I enjoy playing various musical instruments including piano, bass guitar, acoustic guitar, and violin. I am a classically trained violinist and have played with many symphonies including the Peoria Symphony. Clinic in Moline, Illinois. I also had the opportunity to treat many student athletes at the rehabilitation center located at Palmer’s Academic Health Center. After graduation I practiced in Eureka, Illinois as an Associate Chiropractor for one year where I further honed my skills. I enjoy treating patients of all ages, but have a passion for working with young athletes. I look forward to improving the health of you and your family here at Mitchell Family Chiropractic! Thank you for visiting our site. Our talented team of doctors look forward to assisting each of you on your wellness journey! Call our Bloomington office today and schedule an appointment today!